When Boston Globe reporter Jeff Harder found himself consulting his wife about what kind of birthday cake they should get for Biff the dog, it set off a big “uh-oh” and sent him in search of answer to the question: Do Americans spoil their dogs too much? The Boston Globe article examined some of the more extravagant ways people spend on their pets — $2,700 Louis Vuitton carriers, dog cologne and even dog lingerie, for instance — as well as the propensity toward treating our dogs more like members of the family than pets. The reality is, we are a nation of dog-lovers, and the overwhelming evidence suggests this is a new cultural norm and not a passing fad. The American Pet Products Association estimates 54.4 million households include dogs, and that underscores a very important point to Camp Bow Wow investors: This is a very good time to own a pet franchise. Poll after poll and study after study reflect the changing mores and attitudes we have about how to care for dogs and what’s best for them. The traditional kennel model is an increasingly distasteful option for pet parents, who don’t want to see their cherished dogs languishing in cages and lonely dog runs while they’re away. Camp Bow Wow changed all that. We create high customer intimacy and repeat business with an atmosphere where we ensure the dogs’ safety, make sure they have a good time and treat them like we treat our own dogs. Our business model hits that sweet spot of allowing pet parents to indulge their canines with premier services without trying to turn their dog into a person — our Camps are all about letting dogs be the dogs they were meant to be. When it comes to pampering dogs, we have hundreds of thousands of customers who are happy to walk the line between too much and just enough, and our franchise owners can tell you how good that is for business. 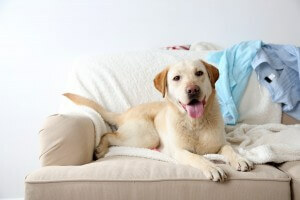 In addition to daycare, we offer overnight boarding, grooming, training and even in-house pet sitting. Last year, more than 200,000 dogs logged 3 million dog nights with us. We’ve proven ourselves in over 100 locations, and we still have hundreds of territories available in the U.S. and Canada. All indicators point to the continued rise in daycare and other services offered by Camp Bow Wow. As for the pursuit of Biff’s birthday cake, blogger Dina Fantegrossi wrote on BarkPost.com: “In a world where we work longer hours for fewer benefits, enjoying the spoils of our labor is essential to our physical and mental well-being. Some reward themselves with a few beers with the guys, others play golf every weekend to unwind, dog devotees ‘spoil’ their pups. Let’s not forget that studies have shown that pets reduce our blood pressure and help to extend our lifespan. We couldn’t have said it better ourselves, Dina. Camp Bow Wow is a dog-first pet care franchise that is dedicated to serving those dog owners and making a difference in both human and canine lives. To discover more about the benefits of owning a Camp Bow Wow franchise, please fill out the form at right to download our free franchise report and explore our research pages.